Field ants (Formica species) are among the most common ants found in yards and gardens and are observed in homes most commonly in spring. Carpenter ants (Camponotus species) are the largest ants that occur in Colorado (1/4-3/8 inch) and are particularly abundant in forested areas. They may be either black or black with a reddish brown thorax. Cornfield ants (Lasius species) are relatively small ants (less than 1/8 inch) that are usually light to medium-brown colored. They nest outdoors but sometimes will enter buildings to feed on sweet materials. Mosquitoes transmit pathogens that cause some of the worst diseases known, including malaria, yellow fever, dengue fever and encephalitis. 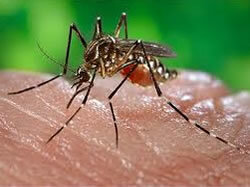 However, mosquitoes only transmit the pathogens. In most cases, they must feed on someone with the disease to be able to transmit it to another person. Adult mosquitoes reared from larvae collected from ponds seldom carry pathogens. Do not let field caught mosquitoes feed on your hand. 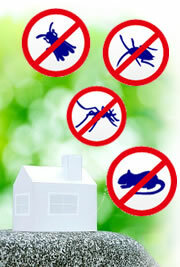 Cockroaches are among the most undesirable insect intruders in the home. They are associated with filth and unsanitary conditions, although they occasionally invade the best-kept homes. Though known to carry various disease organisms, cockroaches have not been associated with any major disease outbreaks in this country. 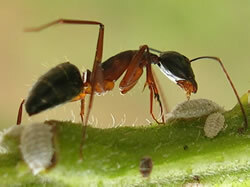 The insects also produce a secretion that has a repulsive odor and can affect the flavor of food. 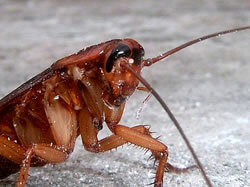 Cockroaches can cause allergic reactions when sensitive people come into contact with contaminated food or house dust. 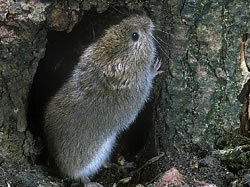 Rodents are relatively small, prolific mammals. All rodents have a pair of front teeth that continue to grow throughout their lives; they must gnaw on food (or other objects) to grind these teeth down. The name Rodentia is derived from the Latin word "rodere", which means "to gnaw". 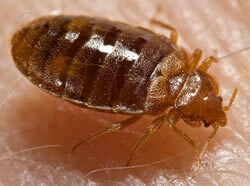 Bed bugs are small,brownish,flattened insects that feed solely on the blood of animals.They are active mainly at night.During the daytime,they prefer to hide close to where people sleep. Their flattened bodies enable them to fit into tiny crevices - especially those associated with mattresses,box springs,bed frames,and headboards. They prefer to hide close to where they feed.Initial infestations tend to be around beds,but the bugs eventually may become scattered throughout a room,occupying any crevice or protected location.They also can spread to adjacent rooms or apartments.